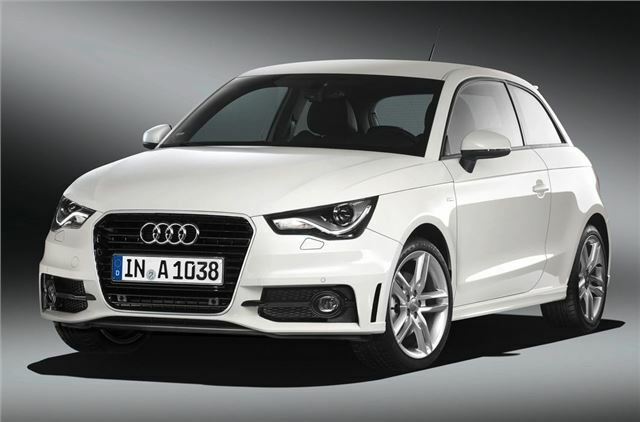 Audi's new top of the range A1 TFSI with 185bhp is available to order now with prices starting at £20,705 on the road. With no official word on a performance S1 model, this will be the quickest model in the A1 line-up thanks to a 1.4-litre TFSI engine that combines turbocharging and supercharging. This gives it a 0-62mph time of 6.9 seconds and a top speed of 141mph yet economy is still a very impressive 47.9mpg while emissions are just 139g/km of CO2. Surprisingly there's no manual gearbox, instead this A1 follows in the footsteps of other performance Audi models, like the RS5, and comes with an S tronic twin-clutch transmission as standard. The S tronic seven-speed twin-clutch transmission directs power to the front wheels as standard and can perform gear shifts in just a few hundredths of a second. Its tall seventh gear also reduces fuel consumption. Meanwhile, under power the TFSI engine's supercharger works at low speeds, intervening at around 1500rpm to increase thrust. In most cases it then disengages at around 2400rpm, to be followed from around 3,500rpm by a boost from the turbocharger to hasten progress yet again. The top A1 us also fitted with the latest ESP stabilization program with electronic axle differential lock, which initiates very brief braking of the inside front wheel when its sensors detect an impending loss of traction during fast cornering. The performance-oriented S line suspension forms part of the overall S line specification that is standard for the 1.4 TFSI 185bhp and includes features such as an exclusive S line exterior treatment, 17-inch alloy wheels and part leather-upholstered sports seats. This is in addition to the Sport equipment level which already includes remote central locking, air conditioning, electric front windows and mirrors, Bluetooth, Driver's Information System and a six-speaker single CD audio system with auxiliary iPod connection linked to a 6.5-inch retractable display.